Yay! I am so glad you liked it as it’s one of my favourites and a Canadian classic! Very timely for you to begin the cross-cultural journey as the Giller Prize (the highest Canadian literary honour) was announced recently. Thanks for the very kind mention as well! I am planning my exchange very soon and am already enjoying Foley Russel and That Poor Girl immensely. 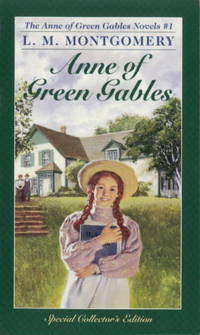 I just loved Anne. She is a great a character and well realized. I thought it was a lovely book, so thanks very much again. I am so glad! 🙂 I am loving Foley as well! I will let you know when the review is up!